Finally! After a Four-Year Wait. My custom designed front gate has finally been installed. It’s been an extremely time consuming and difficult project that began in 2011 with the original sloppy installation. 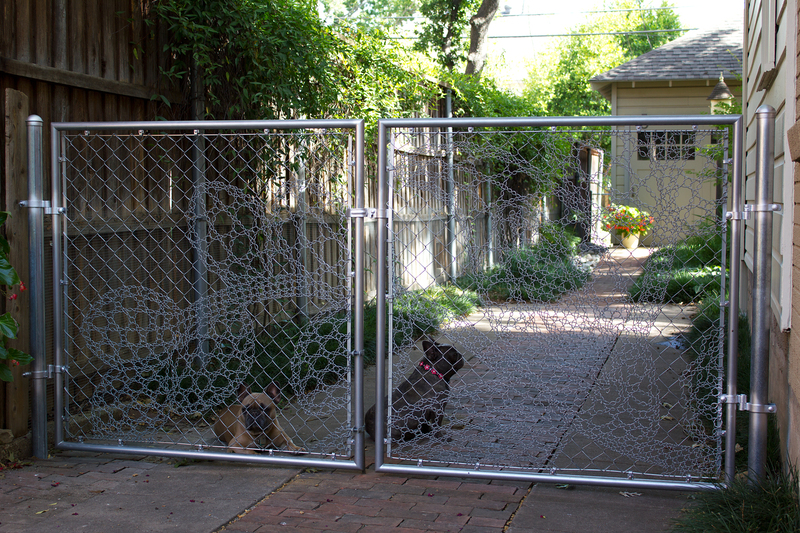 Because it is the front gate, a custom solution was necessary. 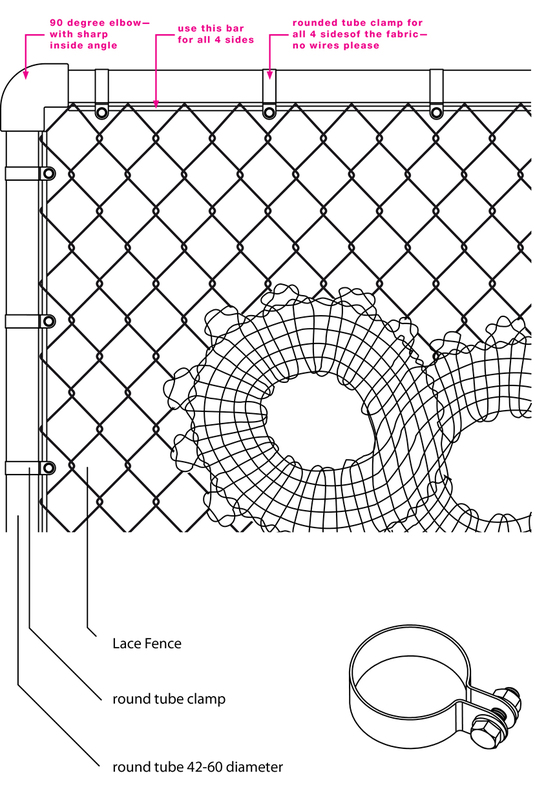 Since chain-link fencing is no longer as popular as it once was, I could not find a fencing contractor who would give me the time of day on the phone, much less show up for a meeting. They didn’t care if I had created detailed drawings with specifications. The word “custom” caused them too much brain pain. Plus using the traditional galvanized pipes and fittings would make the panels too heavy, causing them sag in the middle. So my architect Charley McKenney took my drawings to the metal artist who had created my fire screen and worked out how to create the two gate panels. It was critical that each frame corner be a sharp 90 degrees and each lace fabric panel be completely inset to the inside of the frame—not merely attached to the frame itself. Eighteen months later, January 2015, the completed gate panels were finally delivered. I had aged considerably since this whole thing started. But wait! There’s more! Who would do the installation? [crickets] My usual contractor wouldn’t be able to do it until after the first of 2016. The next time someone mentions that good things happen to those who wait, I’m going to slap them hard. It wasn’t a matter of just reattaching the panels to the original gate posts. The new panels were now taller, and the post next to the house needed to move in another 1.5 inches. Why are my smaller projects so difficult? Fortunately a friend of mine’s husband was starting up a construction business and was free to help me. He brought in a sub-contractor who not only showed up, but didn’t mind working out all the details. We did run into one big problem. The gate panels were too heavy for the newly embedded support posts and caused them to lean inwards, which in turn caused the panels to sag and drag. So a week later, they came back with a brilliant solution. By inserting reinforcing bars (rebar) and concrete down into the support posts, they were able to ensure the posts would never lean in. We were afraid that a small wheel may have to be added at the inside bottom of one of the panels, but this proved unnecessary. There’s still one final step remaining, and that is removing the silver paint the contractor used to cover the old galvanized fittings. This is something I told him NOT TO DO! But none the less, he had to gild that lily. Ggggrrrr… I’m hoping some paint thinner will do the trick and won’t remove or harm the finish on the new frames. The saga continues. 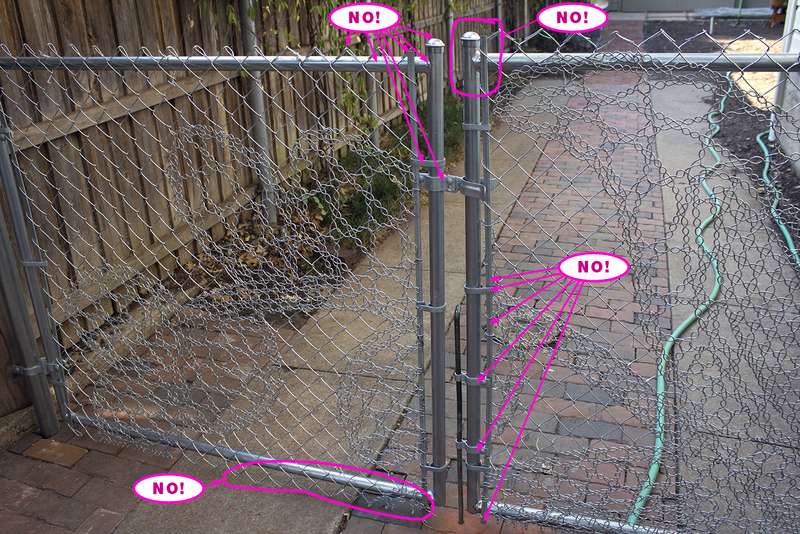 (above) This photo was taken in 2011 after the lace fence and gate were installed the first time. (above) This is the drawing that caused local fencing contractors to run for the hills. 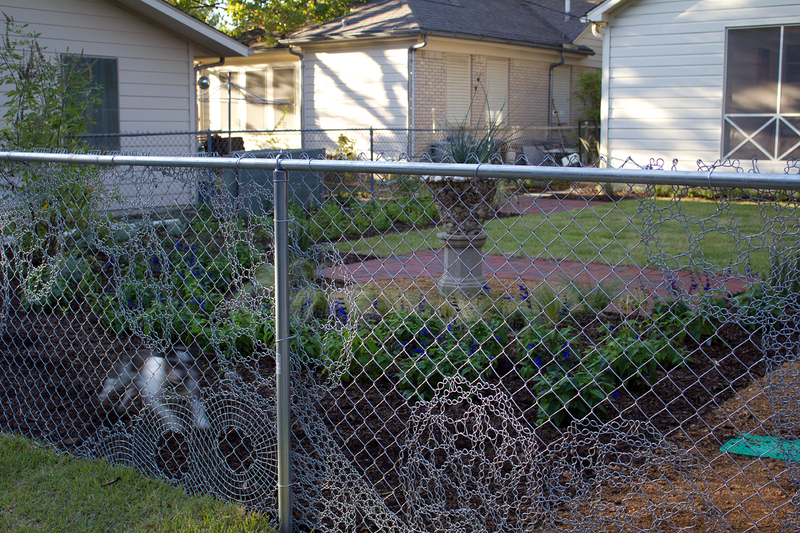 (above) This photo of the backyard’s Lace Fence was taken back in 2011 just after my new back garden had been installed. That’s my sweet departed Bubba being the perfect guard dog. 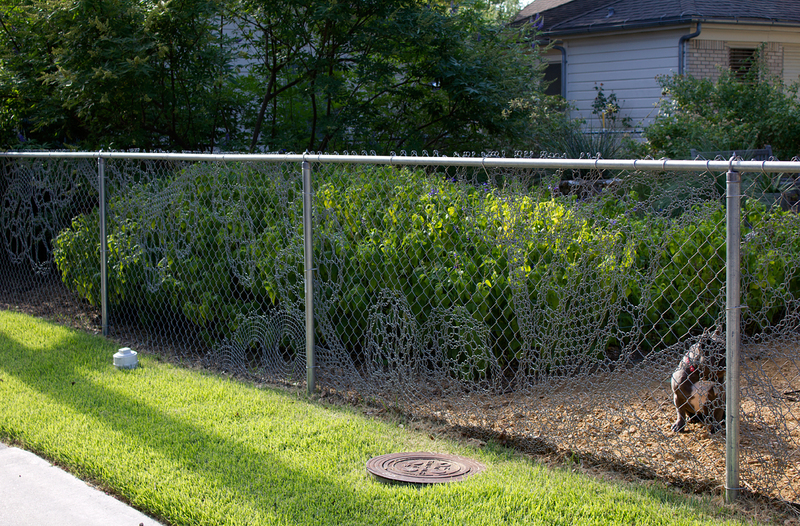 (above) This is how the Lace Fence looks now (July 2015) with a more mature garden. You are a patient and determined person! All landscape architects should be blessed with clients like you. All your hair-pulling hard work paid off. It looks really interesting, certainly unusual, and very attractive . The installation is slick and professional looking. Wow, I know you are relieved to have it all in. It’s hard being an artistic perfectionist! The front gate looking great and the backyard garden is awesome. Love your work. Thank you, Renata! And thanks for dropping by smallrooms.